It’s weird to think that this time last year, Warner Bros. and DC were seen as in crisis. The Justice League movie failed to capitalise on the goodwill of Wonder Woman before it, and there wasn’t really a clue of what DC would do next. Of course, what ended up happening was them dialling back the whole cinematic universe, and focussing on solo movies instead. At the end of last year we had the first in this new run of DC movies: Aquaman. The end product was a beautiful mess, but it showed promise of Warner Bros. taking more risks, and having more fun with their properties. Which brings us to Shazam!. This film’s been kicking around for a good while, but after years in development limbo, the finished product is finally in cinemas, and it’ll come to the filmmakers’ relief that the finished product is pretty good. What’s most notable from the offset about Shazam! is that it’s unashamedly old-school. The story is presented without so much as a look sideways to the camera, and aside from the occasional reference to members of the current Justice League continuity, any trace of the trademark dourness and convoluted storytelling of the “Snyderverse” has been scrubbed away. In fact, if it weren’t for the repeated Agents of S.H.I.E.L.D. level references to the other DC movies, one could almost be forgiven for thinking this film had fallen through a time hole from the offices of Amblin Entertainment in the 1980s. Our hero is Billy Batson, a 14 year old orphan in Philadelphia who, after being fostered by a family with 6 kids already, runs away after provoking some bullies and ends up being summoned by an old wizard via subway train. After being judged adequately pure of heart, Billy’s given the wizard’s power, which can transform him into a full-blown superhero just by saying the magic word: Shazam. Think Big with capes. There’s even a kid best friend/sidekick who is GREAT. 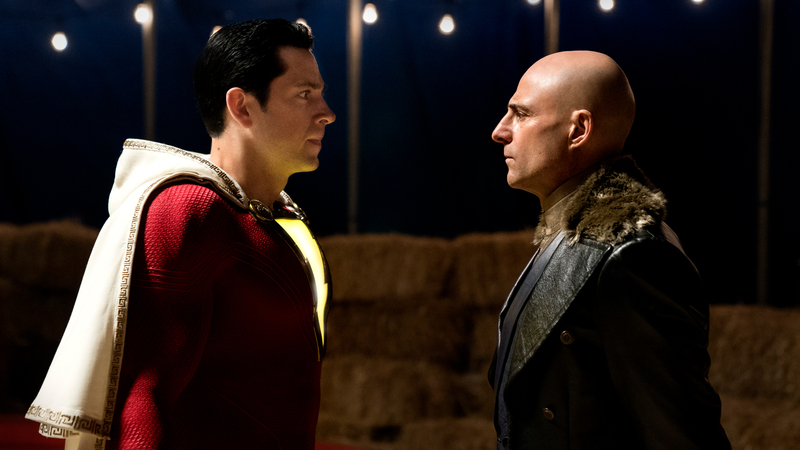 From there, it’s mostly a standard – if exaggerated – origin story: Billy discovers what he can do with his newfound powers, the bad guy (played by Mark Strong, of course) is a twisted reflection of the hero, Billy learns his responsibility as a hero, and then it gets into an overlong third act punch-fest. It’s a formula for a reason, and Shazam! ticks off the checklist without breaking a sweat. The exaggeration mentioned comes from the writers’ decision to make the film a throwback family comedy, though it’s one filled with some really disturbing characters. I mentioned Amblin before and the decision to invoke them was purely down to Shazam! sharing the same dynamic of that production company’s output in the 80s. 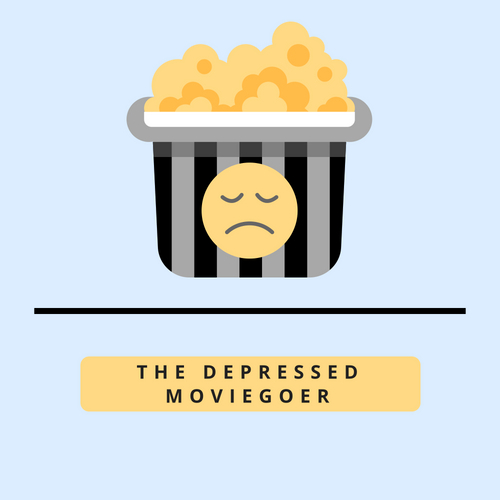 It’s a film that knows who its audience is and what they’re expecting, and rather than condescending to or disregarding them, the film seems to be sitting right alongside its target demographic, popcorn in hand, loving every minute of it. Throughout the film, the warmth, joy and wit with which it was made absolutely shines off the screen, and as it runs, I couldn’t help but feel that this is the type of film that Warner Bros. and DC should have been making post-The Dark Knight Rises. As the film draws to a close, its message is clear: it doesn’t take being rich, an alien, a Greek goddess or an underwater monarch to be a hero, sometimes just being a good person and doing the right thing is enough to be celebrated. We live in a world which gets crazier and more complex by the day – by the hour, sometimes – and so it’s great to see a straightforward, no nuance, good vs. evil tale play out for a couple of hours.